Frustrations ? | Gods Love & Stories Of The Past? Some people just seem to have all the luck in getting jobs . Don’t that frustrate you ? Some people are good at handling frustrations and others ain’t ? Some get jobs that are interesting to them ? You just need to take your time in finding the right job or you’ll be like this Dude ? We all at sometime or another have been at that point in our lives ! We just need to regroup one step at the time like this Guy does ? Does this picture explain the real deal that we experience in our lives because we have not learned patience ? I invite you to go to this url and find out just how to fight all your frustrations and consider what patience will do in your lives ! http://sbcimpact.net/ Scroll down to the topic ” From BC to AD ” and- Genisis to Revelation and read Mrs Hariette Peterson’s aka selahV ‘s post ? Good Reading ! oh have you talked to any clouds lately ? Heh! 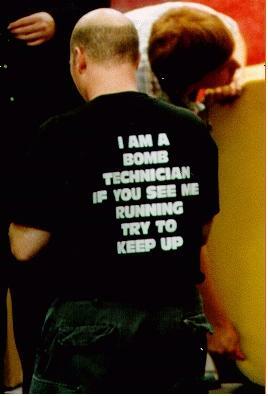 Love the bomb tech one. Thanks for visiting, I kinda woke up in a mischevious fun filled spirit this morning ! I seen Bro. Gordon and Amy Sunday . Bro. Gordon – Amy and our church has a full schedule of prayer meetings and Bible Study groups and other activities thru the 3rd week in Febuarary when our spring revival begins ! Hope you staying warm ? Thanks for dropping by , hope everythings going good out in your neck of the woods . The Gov. 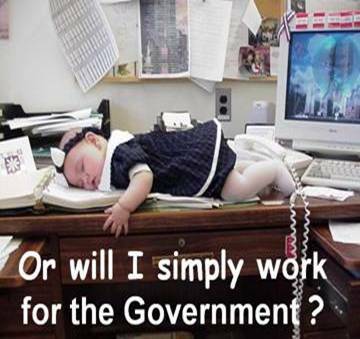 job is about the only one I could handle ? BTW- Tell Miss Littles a belated Happy Birthday ! sounds good! wished we lived closer, to hear him preach. hillbilly road blog, and look at the first pic! Ah-ha I’m glad you found a way to save him from the deer hunters and turkey hunters ? If you had put him a bowtie on you would have him dressed up for the kill ? In the first house I had built we had a fireplace that was really efficient . I didn’t know any other kind of heat untill I was about 8 years old when I was growing up ? Hahaha this was funny! Thanks for sharing a good laugh. And with patience comes perseverence! 🙂 We can do anything through Christ who strengthens us. Even deal with frustrations huh. I am glad you stopped by . Its always good to hear from ya’ll. I been reading a little here and there and I hope everything ‘s going good . I mean the sickness with colds and my Lit’l buddys mom ! Hi Ron, This is Amrita Terry Anne ‘s friend . I really like your blog. i want to copy you computer graphic on my blog as it pretty muchdescribes what i feel at the moment due to electricity trouble.Please can you tell me how to get the code or whatever on to my blog…if you don ‘t mind. I don’t know about no code but if you put your mouse pointer on the picture then in the left top corner four selections will appear and click one on left which will save that picture to your computer in your pictures and then you can post it on your computer ! The still pictures are easy to save but i want the moving graphics. Don ‘t know how to save those. I don’t knowwhat else to do but send you emails that have the moving graphics in them and save them to your pictures that way . That might work ? The ones in this posts are labeled as gif instead of jpg category. That may be why if your program cannot handle the gif category! I can add you to my email address book if you like ?